Even if Carlos Ezquerra had only co-created Judge Dredd, undoubtedly Britain’s greatest comic character, his place in history would be sorted. But his work on the galaxy’s greatest lawman was only a fraction of his contribution to comics in a 50+ year career filled with some of the most exciting moments in British comics. Carlos started working in Spain before quickly getting work in the UK comics industry. In 1974 he was headhunted by John Wagner and Pat Mills to work on IPC titles and forged both a friendship and working relationship with those writers which would last the rest of his life. Carlos had a distinctive and very original drawing style. 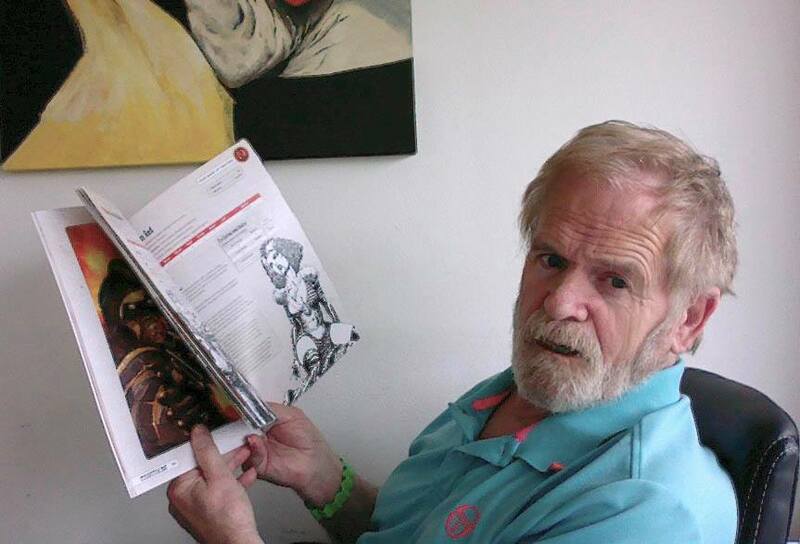 He predominantly worked for IPC titles – Battle, Starlord, 2000AD – where he visually created many memorable characters including: Strontium Dog; Fiends of the Eastern Front; El Mestizo; Major Eazy; The Rat Pack; Stainless Steel Rat; Third World War; Al’s Baby; the Burning Man and Durham Red. His most popular creation however was Judge Dredd the character who founded an empire on his shoulder pads and has ensured 2000AD’s continued success for the past 42 years. Carlos also loved working with Garth Ennis and they created a number of characters including Bloody Mary; Just a Pilgrim; The Rifle Brigade; Tankies. Carlos was always close to his fans and was very active on social media. Through his commissions and convention appearance he gave a lot of his time back and really appreciated those who enjoyed his work. He leaves behind a powerful legacy in comics.